Delving into Central Asia regularly throws up unexpected and compelling stories. Thanks to the BBC's Monica Whitlock I learnt about Duke Ellingotn's 1963 tour to the Middle East and South Asia, including Kabul. Who knew? (Whitlock, by the way, is the author of the excellent book Beyond the Oxus, which focuses on the upheaval in traditional lives after the Soviets arrived in Uzbekistan, Tajikistan and Afghanistan). As part of its Cold War strategy, the US State Department created a "jazz diplomacy" program. As well as Afghanistan, Ellington and his orchestra toured Jordan, Lebanon, India, Sri Lanka, Pakistan, Iran, Iraq and Turkey for 10 weeks. The tour was cut short by President Kennedy's assassination. Ellington remembered "riding round all night long" after the concert, listening to Afghan music in cafés. "They have their own thing going on there, and it's good," he told BBC chat show host Michael Parkinson in 1973. 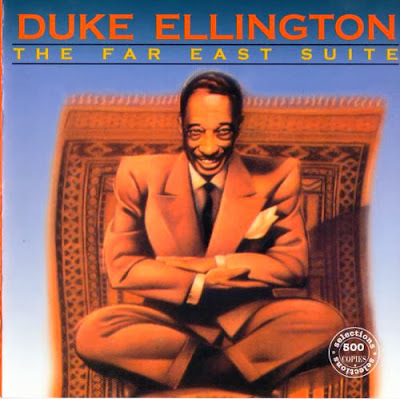 His album Far East Suite was released four years after the tour and won a Grammy Award for best instrumental jazz performance. Ellington was not the first jazz musician to perform there. Dave Brubeck played Kabul in 1953 and said that the piece Nomad on the album Impressions of Eurasia was inspired by his visit there. This is a fascinating slice of Afghan history. 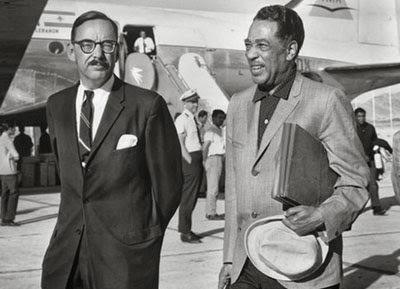 Iranian-based architect and jazz fan Ehsan Khoshbakht has written an excellent piece on the entire tour Far of the Middle: Ellington's 1963 State Department Tour. Monica Whitlock's article includes Ellington's interview with Michael Parkinson and photographs of a surprisingly modern Kabul. Her 15-minute interview with Faiz Khairzada, who organised the concert, and now lives in the USA, is fascinating.